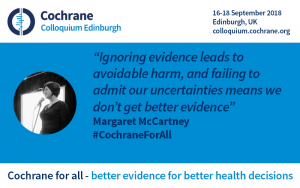 André Tomlin (@Mental_Elf), from the Beyond The Room team at the 2018 Cochrane Colloquium,#CochraneForAll, in Edinburgh interviews Dr Margaret McCartney (@mgtmccartney), general practitioner, about the practice of evidence-based medicine, relationships and trust. 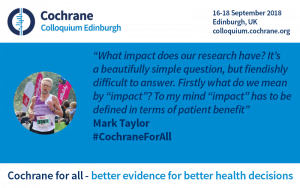 André Tomlin from The Beyond The Room Team at the 2018 Cochrane Colloquium interviews Mark Taylor, Head of Impact for the Central Commissioning Facility of the National Institute for Health Research, about research impact, his own experience of multiple sclerosis and how Cochrane can involve patients in their work. Transcript of a podcast interview with Dr Ruth Elwood Martin and Mo Korchinski about their work in Canada with women in prison: Arresting Hope – Women Taking Action in Prison Health Inside Out, conducted by André Tomlin @Mental_Elf. Recorded at the the Cochrane Colloquium 2018. This is a transcript of a podcast interview with Erin Walker and Katrina Brooks conducted by Douglas Badenoch about involving young people in a meta-synthesis. 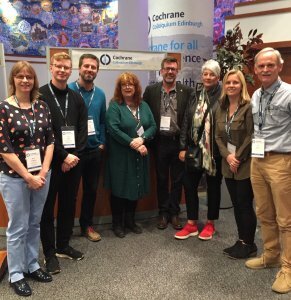 Recorded at the Cochrane Colloquium 2018. 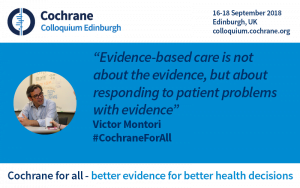 Casey Quinlan from Beyond The Room Team at the #CochraneForAll Colloquium, 2018, interviews Lyubov Lytvyn, a PhD student at McMaster University, about involving patients in research to guide the development of evidence-based recommendations. 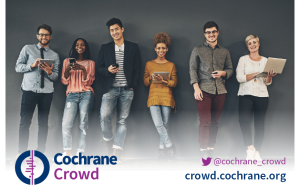 Cochrane UK’s Sarah Chapman and Selena Ryan-Vig took the recent Cochrane Colloquium 'Beyond The Room', as part of a team of eight. 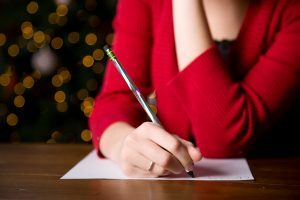 With insights from their intrepid team mates, they consider what this extended social media activity achieved, what they would do another time and why, as Sally Crowe said, they “might be a little bit addicted to it”! 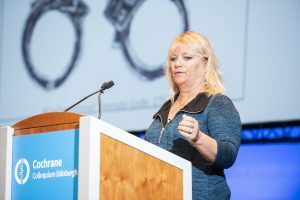 Podcast and transcript: Emma Cartwright and Jess Rees, Cochrane UK’s Rosamund Snow Prize recipients, interviewed firstly by Sally Crowe and then by André Tomlin, members of the #BeyondTheRoom team at #CochraneForAll. This is a transcript of a podcast interview with Professor Victor Montori @vmontori conducted by Casey Quinlan @MightyCasey. 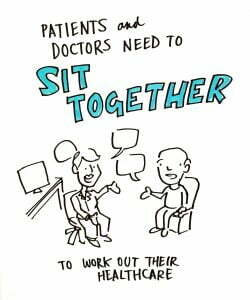 Recorded at the Cochrane Colloquium 2018 .